To be honest, the project of bungalow.hr did constitute a considerably interesting challenge for us. What we aimed for was presenting Croatia as a place where the sun never fades way and a cosy relaxation seems to last forever. The picturesque landscape of the Adriatic coast brought a wave of inspiration for our website, making it sunny and so holiday-like. Having such a splendid background as a support, we could present the offer of luxurious mobile bungalows with a claw. Brand new technologies and a user-friendly interface make the website burst with positive energy right from the start. The brand new website www bungalow.hr gives a fantastic glimpse of the offer, making the online bookings smooth and easy. 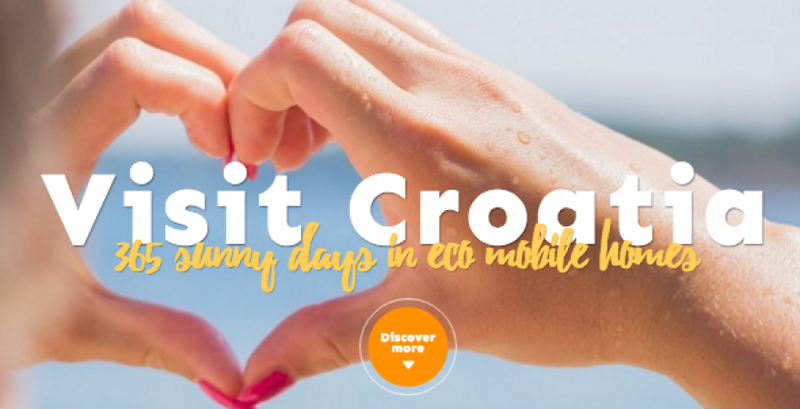 Once having paid a visit to the page, you will immediately feel the urgent need to spend a few sunny days on the Croatian coast.